I really like Jason Kottke’s blog at kottke.org where he covers diverse topics about culture, design, and technology (etc). 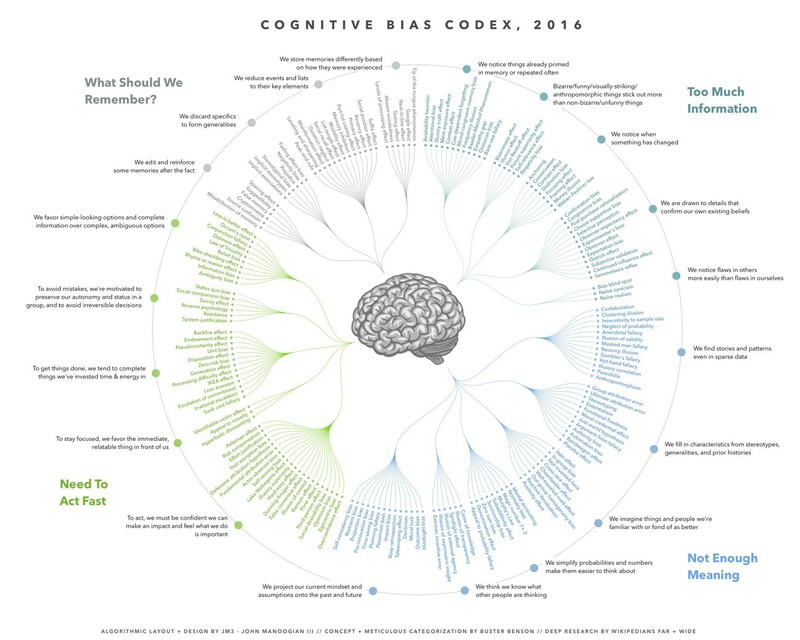 More than a year ago he posted a link to a cognitive bias cheat sheet written by Buster Benson who writes over at betterhumans.coach.me. Some of my particular favourites are about how and why we notice the things we notice: confirmation bias, subjective validation, [observer effect](observer effect) and the availability heuristic. As both Kottke and Benson point out, the wikipedia page on cognitive biases is both remarkable and a remarkable mess. There is not enough meaning.